If you have been shopping lately, you must-have noticed that there are embroidered clothes everywhere. This is because the embroidered trend is having a moment lately and you should definitely try to pull it off too. You can do this bold and choose some embroidered jacket or one such dress. Or maybe you can choose some embroidered skirts, jeans or tops and pair them with one colored pieces of cloth. No matter of your choice, one thing is for sure. 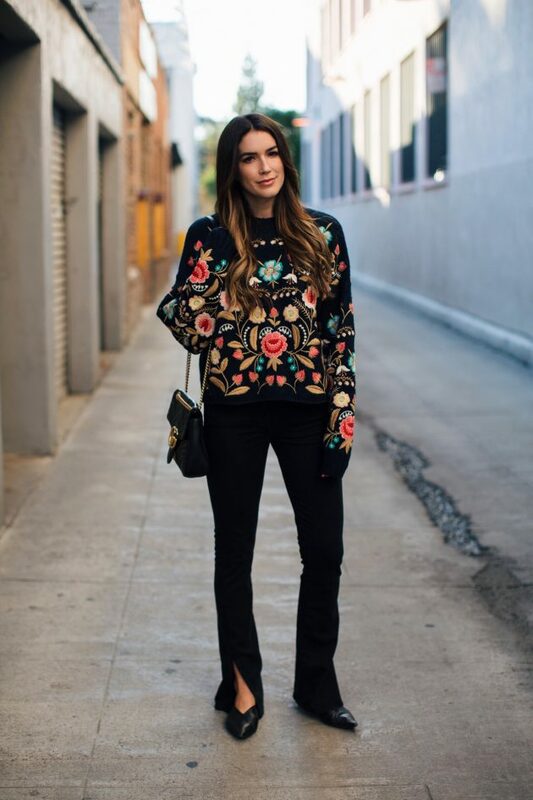 Embroidered patterns can definitely make a statement. Flowers are most common choice for such patterns. And they look great on one colored surface, as well as on a striped one. So, if you plan on buying a striped shirt soon, choose a one that will feature embroidered flowers too and thus look trendy. Below, we have chosen several outfit ideas with embroidered clothes. Check them out and choose which one of them you will choose to copy. 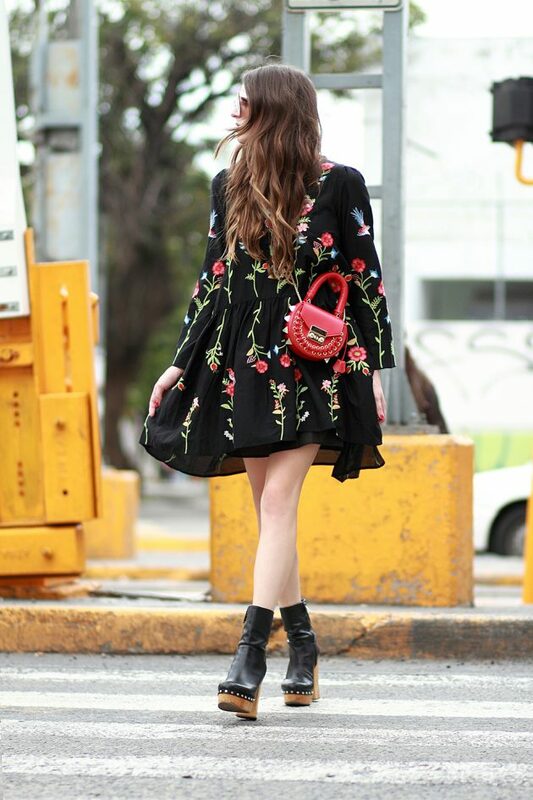 An embroidered dress, whether plain or velvet one is perfect choice for this season. Pair it with some ankle boots or over-the-knee ones and get ready to impress everyone. If you don’t want to go bold with the embroidery trend but still want to pull it off, then you should get some embroidered bag. It will be great addition to your monochromatic outfits, adding a pop of color. You all love wearing jeans and you probably have many pairs of them already. So, if you want to add another pair, maybe you can choose some embroidered ones. There are many of them to choose from, so you will for sure find the right ones for you. So, which one from the above outfits did you like the best? 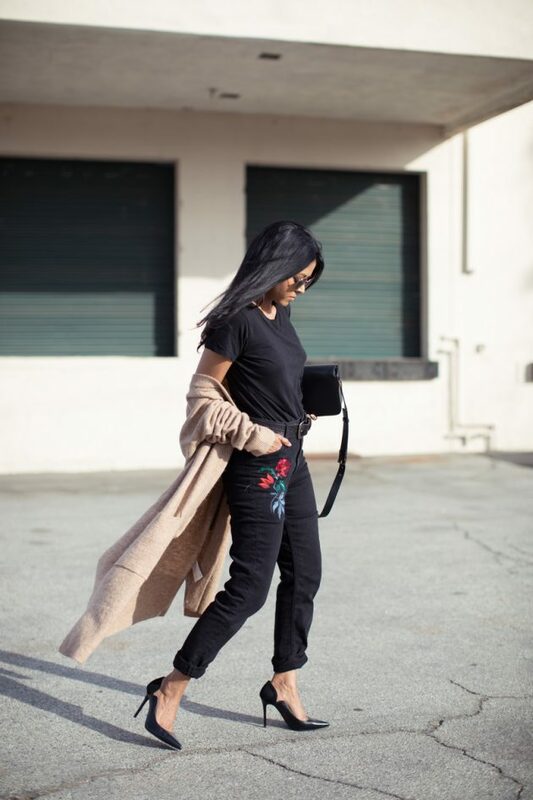 Tell us in the comments and make sure to add to get yourself some embroidered clothes if you still don’t have some and thus pull off the embroidered trend. And of course stay up to date with the content of Fashionsy to keep with the latest fashion and beauty trends.